I was also vegetarian before becoming vegan, thinking I was doing right by the animals. 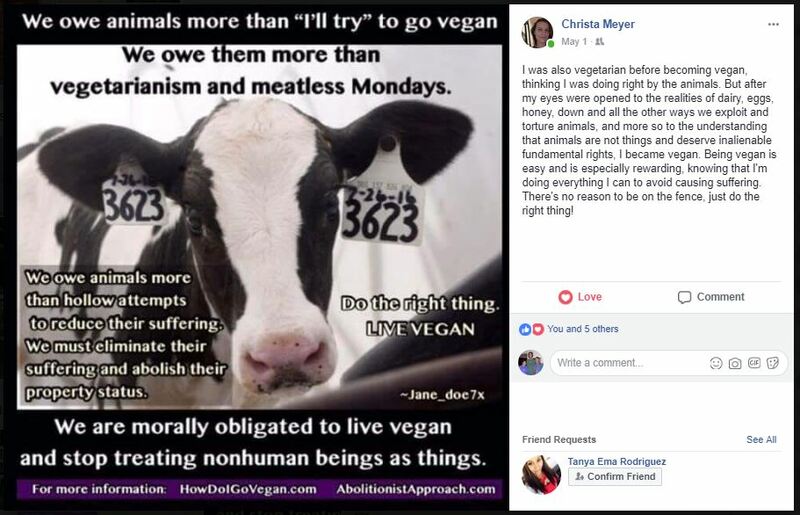 But after my eyes were opened to the realities of dairy, eggs, honey, down and all the other ways we exploit and torture animals, and more so to the understanding that animals are not things and deserve inalienable fundamental rights, I became vegan. Being vegan is easy and is especially rewarding, knowing that I’m doing everything I can to avoid causing suffering. There’s no reason to be on the fence, just do the right thing!